Dr. Marilyn Manco-Johnson received a BS from Penn State University, State College, PA and an MD from Thomas Jefferson University, Philadelphia, PA. She trained in pediatrics and pediatric Hematology/Oncology at the University of Colorado and Colorado Children’s Hospital. Dr. Manco-Johnson’s career has been in clinical care as well as clinical and translational research of bleeding and clotting disorders. 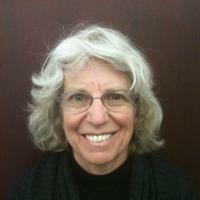 She oversees a large clinical and research program that cares for 2000 children and adults with coagulation disorders. The Colorado HTC integrates research into the comprehensive evaluation and management of bleeding and clotting disorders. Some examples of this research include development of novel global assays to evaluate coagulation; conduct of investigator-initiated and well as Pharma-sponsored trials for new therapies of hemophilia and thrombosis; pharmacokinetic and pathophysiological studies in rare clotting disorders; and animal models of human coagulation disorders. 1. Manco-Johnson MJ, Abshire TC, Shapiro AD, Riske B, Hacker MR, Kilcoyne R et al. Recombinant Factor VIII For the Prevention of Joint Disease in Children with Severe Hemophilia: Prophylaxis Compared With Episodic Treatment. NEJM 2007;357:535-44. Nichols WL, Hultin MB, James AH, Manco-Johnson MJ, Montgomery RR, Ortel TL, Rick ME, Sadler JE, Weinstein M, Yawn BP. von Willebrand disease (VWD): evidence-based diagnosis and management guidelines, the National Heart, Lung, and Blood Institute (NHLBI) Expert Panel report (USA). Haemophilia. 2008 Mar;14(2):171-232. Kulkarni R, Soucie JM, Lusher J, Presley R, Shapiro A, Gill J, Manco-Johnson M, Koerper M, Mathew P, Abshire T, DiMichele , Hoots K, Janco R,Nugent D, Geraghty S, Evatt B; the Haemophilia Treatment Center Network Investigators. Sites of initial bleeding, mode of delivery and age of diagnosis in babies with haemophilia diagnosed before the age of 2 years: a report from The Centers for Disease Control and Prevention (CDC) Universal Data Collection (UDC) project. Haemophilia 2009; Nov;15(6):1281-90. Simpson ML, Goldenberg NA, Jacobson LJ, Bombardier CG, Hathaway WE, Manco-Johnson MJ. Simultaneous thrombin and plasmin generation capacities in normal and abnormal states of coagulation and fibrinolysis in children and adults. Thromb Res 2011;127:317-23. Goldenberg NA, Hathaway WE, Jacobson L, Manco-Johnson MJ. A new global assay of coagulation and fibrinolysis. Thromb Res 2005;116:345-56. Manco-Johnson MJ. How I treat venous thrombosis in children. Blood 2006;107:1-9. Goldenberg N, Knapp-Clevenger R, Manco-Johnson MJ. Elevated plasma factor VIII and D-dimer levels predict poor thrombotic outcomes in children. New Engl J Med 2004;351:1081-8. Surveillance of Complications of Bleeding and Clotting Disorders, a cooperative agreement between the US Hemophilia Treatment Center Network and the US Centers for Disease Control and Prevention. Clinical research in the field of childhood clotting disorders, particularly severe protein C deficiency, antiphospholipid antibodies, thrombotic storm, and antithrombotic therapies. Development and application of global assay of coagulation to bleeding and clotting disorders.